BV11CS-Case 1080ea. 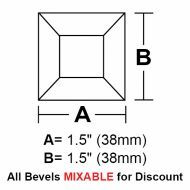 Sq.Peaked Bevel 1"
BV115CS-Case 1080ea. Rec.Peaked Bevel 1"x1.5"
BV12CS-Case 1080ea. 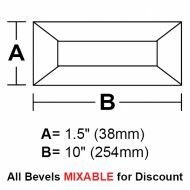 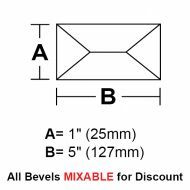 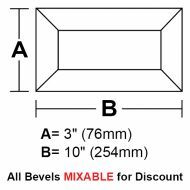 Rec.Peaked Bevel 1"x2"
BV125CS-Case 900ea. 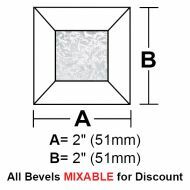 Rec.Peaked Bevel 1"x2.5"
BV13CS-Case 900ea. Rec.Peaked Bevel 1"x3"
BV14CS-Case 720ea. Rec.Peaked Bevel 1"x4"
BV15CS-Case 540ea. Rec.Peaked Bevel 1"x5"
BV16CS-Case 480ea. Rec.Peaked Bevel 1"x6"
BV17CS-Case 360ea. 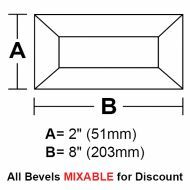 Rec.Peaked Bevel 1"x7"
BV18CS-Case 360ea. Rec.Peaked Bevel 1"x8"
BV19CS-Case 270ea. Rec.Peaked Bevel 1"x9"
BV110CS-Case 270ea. Rec.Peaked Bevel 1"x10"
BV112CS-Case 240ea. 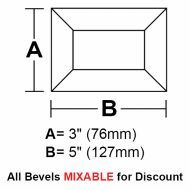 Rec.Peaked Bevel 1"x12"
BV22GCS-Case 720ea. 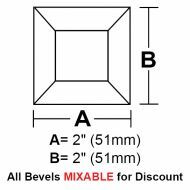 Glue Chip Square Bevel 2"
BV24GCS-Case 360ea. 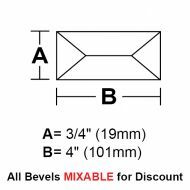 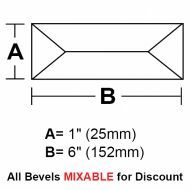 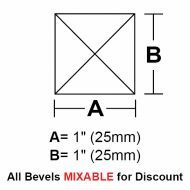 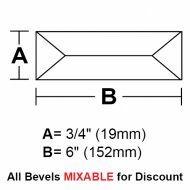 Glue Chip Rec.Bevel 2"x4"
BV25GCS-Case 240ea. Glue Chip Rec.Bevel 2"x5"
BV342CS-Case 1080ea. Rec.Peaked Bevel 3/4"x2"
BV343CS-Case 900ea. 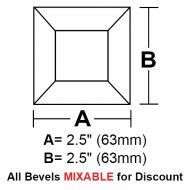 Rec.Peaked Bevel 3/4"x3"
BV344CS-Case 720ea. Rec.Peaked Bevel 3/4"x4"
BV345CS-Case 540ea. Rec.Peaked Bevel 3/4"x5"
BV346CS-Case 480ea. 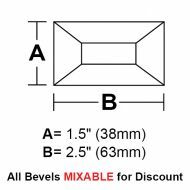 Rec.Peaked Bevel 3/4"x6"
BV3415CS-Case 1080ea. 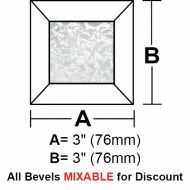 Rec.Peaked Bevel 3/4"x1.5"